Wondering how many calories you need to lose weight? If you’re about to move forward on a weight loss diet plan, it’s a must that you take some time to figure out your ideal calorie intake. While the foods that you choose to make your diet up with will make a significant difference on how you feel and function each day, if your calorie balance is not where it needs to be, you simply won’t see results. You can’t feed your body more energy than it needs and expect to lose weight. In order to see the scale decrease, you must be in a calorie deficit, meaning that you’re consuming fewer calories than you burn off all day through your various activities. It’s this calorie deficit that will force the body to turn to stored body fat as a fuel source, utilising it to make up for this calorie deficit. That said, how many calories should you be eating? What’s your magic number? Figuring out your target calorie balance for fat loss is a bit of a process, so it helps to know all the steps involved. Let’s go over what you need to know to get started on the right foot and guarantee that you see weight loss success. The very first step in figuring out your target calorie intake for fat burning is to think about how quickly you want to lose weight in the first place. The faster you want to lose weight, the lower your calorie intake will need to be in order to create the deficit that you’re going for. Generally speaking, you should aim for a desired speed of weight loss somewhere in between 1 to 2 kilos per week. The heavier you currently are, the faster you can lose weight without it posing as much of a threat to your body. Remember, if you only have 5 kilos to lose and attempt to lose 1 kilo per week, your body is going to cling onto that weight more than if you were 20 kilos overweight and were aiming to lose 1 kilo per week. The leaner you get, the slower and harder fat loss will be, so take this into account. As you reach your goal body weight, reducing your target speed of fat loss is typically a wise move. Keep in mind that there are 1500 calories in one kilo of body weight, so you can use this as a guide to establish how great of a deficit you’ll need to be in. Next, you also need to think about your activity goals as well. Are you simply aiming to lose weight and that’s it? Or, are you also interested in putting in intense workouts or keeping up with team sports that you might be participating in? Remember that activity burns calories so the more active you are throughout the week, the more energy you’ll need. Likewise, the more active you are, the greater the calorie deficit is likely going to impact your performance. Now obviously something is going to have to give – if you want to lose weight, you’ll just have to accept that you may not perform as you normally would when doing these activities. But, this can factor into the speed decision as well. If you aim to lose fat more slowly, thus using a smaller total calorie deficit, you won’t see the performance decrease that you would if you were attempting to lose weight rapidly. Generally, the more important physical performance is to you, the slower you should aim to lose weight. If this is a key goal for you and weight loss is more of a side thing, you’ll want to aim for ½ a kilo per week. Anything greater than this and you will be seeing declines in performance. Finally, you’ll also want to think about your ability to adhere to a diet. 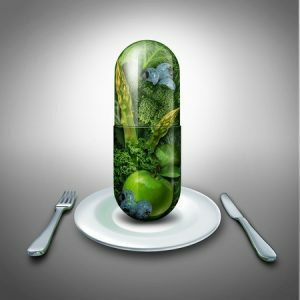 If you’ve been on 20 different diets in the past and have constantly fallen off each one within 2 weeks, chances are a high calorie deficit is not for you. You simply won’t be able to take being that restricted with your meal plan. The more you struggle with sticking with a diet plan, the slower you should aim to take your fat loss results. This will mean more flexibly in terms of your food options for the day and less hunger throughout the day – both factors that tend to send people flying off their diet plans quickly. If, on the other hand, you have no problem sticking with a diet through thick and thin, this won’t be an issue for you and you can proceed to aim to lose fat as quickly as you’d like (or what’s considered safe – 1 kilo per week if desired). Know your daily calories so you can apply self-discipline when you’re tempted! Once you have your calorie intake set up, you then need to put it into action. Eat at this level, making sure you weigh and measure your foods to ensure accuracy for at least two weeks. If you are using quite a significant calorie deficit – say 750 calories or more, take a few days to get down to that new level. This will allow your body to adapt, making the whole process more enjoyable. Eat at this level and notice how you feel. Do you have adequate energy levels? Are you able to focus or do you find that you can’t even think properly? (a sure sign your calorie intake is too low). How are you workouts? Note all of these as you move through this two week period. Finally, once the two week period is up, assess and decide if this is the right intake for you. If you were ravenous all the time or your energy level was ultra-low, you might consider increasing your calorie intake slightly. Also look at what your weight did. Did you lose weight? And, was it at the speed you intended? If not, you may need to make some further changes, bringing your calorie intake up if you were losing too quickly or down if you weren’t losing quickly enough. Once you have your new target, use that for another two weeks and then repeat the process. Keep doing this until you have arrived at your goal weight. So there you have the steps to take to set up your target calorie deficit for fat loss. Remember to monitor your intake as you continually lose weight as well. 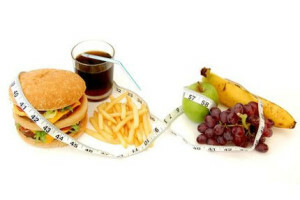 After every 3-5 kilos or so, you will need to decrease your intake lower as your maintenance calorie intake will now be lower due to the fact you have less body weight to support. Make sure you make adjustments so that you don’t hit the weight loss plateau so many dieters find themselves in. Use these steps and you can ensure you are on track to success.